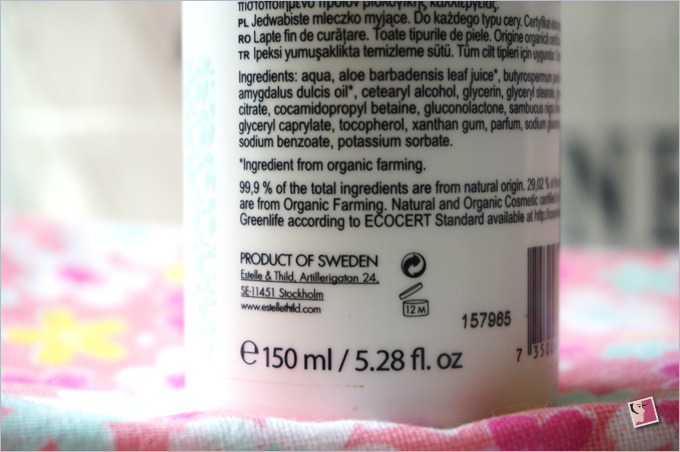 Remember my post about the rancid Estelle and Thild Gel Cleanser? Good that my faith in the brand was not affected by that experience. In fact, I actually think Estelle and Thild is a great brand with an impressive slate of products. 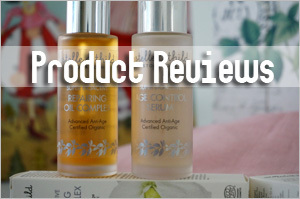 Like their Super Bio Active Magic Duo I last tried–they certainly outperformed my expectations. But I haven’t repurchased them as yet. 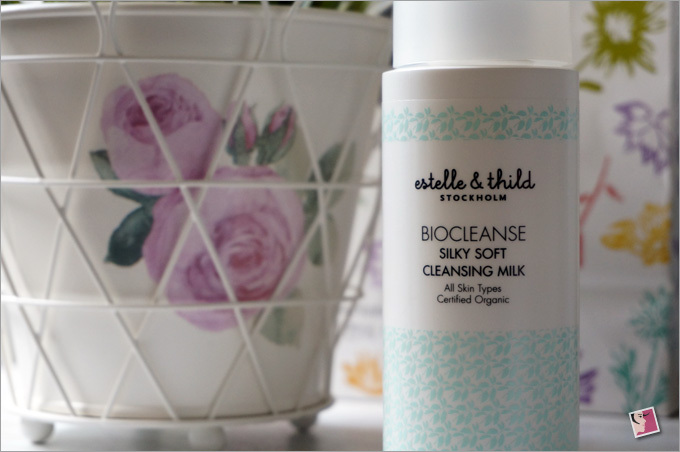 Instead, I decided to give theÂ Estelle and Thild Biocleanse Silky Soft Cleansing Milk a try. 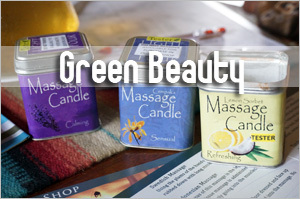 I was getting bored with the cleansers from iHerb and thought that perhaps an upmarket brand might deliver some positive surprises. And I’m pleased to report that it did. If you’ve tried cleansing milk, many of them don’t cleanse very thoroughly at first wash. But I was surprised with how well this cleanser got rid of my foundation, dirt and grime. Its silky soft, lotion-like consistency belies its cleansing power!Â I’d thought I was in for an average cleansing experience but I could feel my skin much cleaner even after just one wash. No sticky feel. No filmy residue. And most important, my skin felt comfortable after each was. Not drying at all! 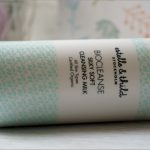 Right at that moment, I realized that this cleansing milk would be a great product in my double cleansing routine without the need for a gel or foam cleansers. I was impressed. 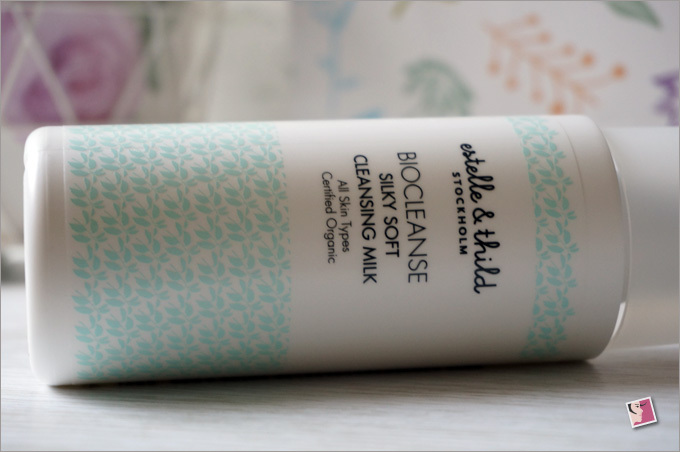 At $38 for a 150ml bottle, Estelle and Thild Biocleanse Silky Soft Cleansing Milk isn’t cheap. But I’m prepared to repurchase this since it cleanses so well. This product totally fits my plan of switching to gentler cleansing milk and cream to a tee. 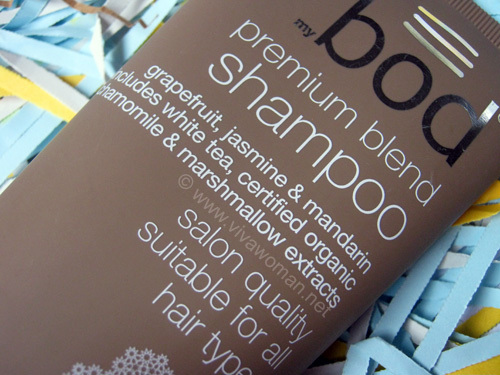 The smell of this product is pleasant and natural with the combination of aloe veraÂ and sweet almond oil. But because this is a cleansing milk, I needed to use about 5 pumps for each wash. So I suppose it’ll deplete faster than a cream cleanser of the same size. The other problem is that the milk stings my eyes a little…not all the time though. I realized that it containsÂ Cocamidopropyl Betaine, a surfactant. That’s another surprise and I wasn’t too pleased with that but considering the ingredient is listed 9th on the ingredient list, it’s relatively mild. I even tested the pH level of this product and confirmed it’s around 4.5. Perfect! According to its product description, this comforting cleansing milk is developed to nourish dry skin while melting makeup and impurities. 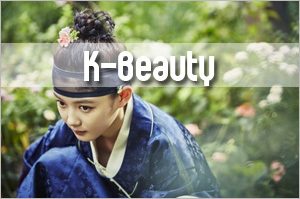 The milky formula is infused with Black Elderflower to comfort and purify the skin. 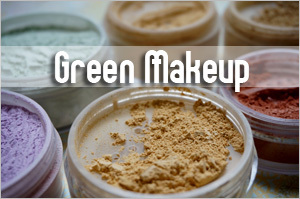 The product is Ecocert-certified with almost 100 percent of the ingredients sourced from natural origin and about 15 percent of the total ingredients Â from organic farming. 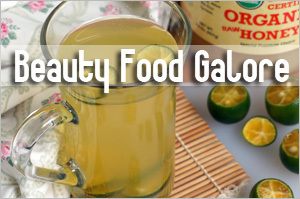 Here’s the full ingredient list: Aqua, Aloe Barbadensis Leaf Juice*, Butyrospermum Parkii Butter*, Prunus Amygdalus rand Â Oil*, Cetearyl Alcohol, Glycerin, Glyceryl Stearate, Glyceryl Stearate Citrate, Cocamidopropyl Betaine, Sambucus Nigra Flower Extract*,Â Glyceryl Caprylate, Tocopherol, Xanthan Gum, Parfum, Sodium Gluconate, Citric Acid, Sodium Benzoate, Potassium SorbateÂ *Ingredient from Organic Farming. 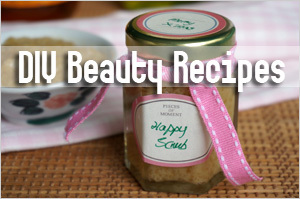 The list isn’t long and the ingredients look agreeable. 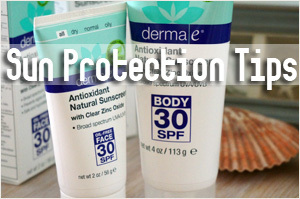 It should work for most skin type but if yours is ultra-sensitive I can’t guarantee as some with sensitive skin do react to cocamodopropyl betaine. 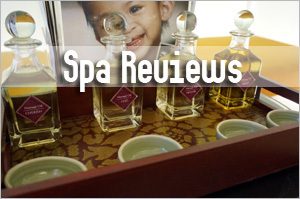 The only way to know is to use or read other reviews. Okay, I know that’s not helpful at all. Perhaps someone with sensitive skin using this product can comment? Caudalie Gentle Cleansing Milk feels slightly thicker than most cleansing milk Iâ€™ve come across. Most cleansing milk have lotion-like consistency so this one can be passed off as a cleansing cream. But whether it is a cleansing milk or cleansing cream, two squirts of this does a decent enough cleansing job for my face. The first two or three times I used it, I didnâ€™t like how my skin felt afterwards because it left a slight â€œfilmyâ€ residue. 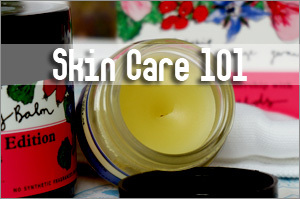 Itâ€™s not greasy or sticky but youâ€™ll feel as if your skin isnâ€™t well cleansed. I had to use it a couple more times to get used to the feel especially when I use it alone in the mornings and donâ€™t follow on with the cleansing foam. Price wise, Caulalie’s is cheaper at S$32 for a 200ml as opposed to Estelle and Thild’s S$38 for 150ml. It’s probably longer lasting too but the performance of Estelle and Thild beats Caudalie’s hands down in both the smell and most important, how well cleansed my skin felt afterwards. So the verdict is clear: I can’t compromise the cleanliness of my skin for a few dollars. 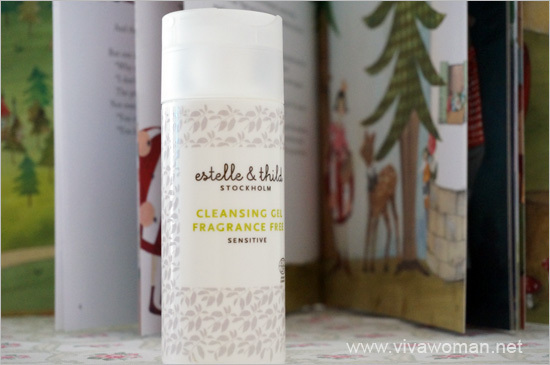 Estelle and Thild Biocleanse Silky Soft Cleansing Milk is a keeper for my double cleansing at the end of each day. But I will keep the Caudalie Cleansing Milk for my morning wash and during traveling as I haven’t seen a travel-sized Estelle and Thild cleanser. Anyway, both cleansers are available at Sephora for those in Singapore. For those outside Singapore, check the products availability at Naturismo.com. 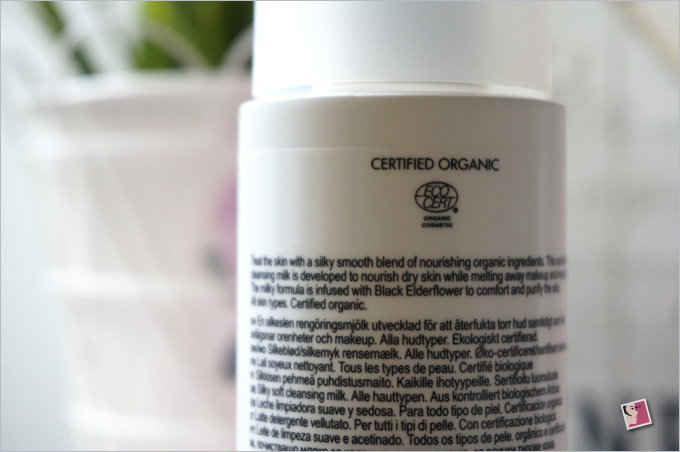 Have you tried Estelle and Thild’s cleansers? Which are you using and do you like it? 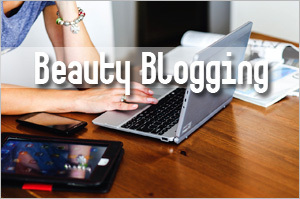 Previous Post: « Is The Josh Rosebrook Nutrient Day Cream SPF30 With Non-Nano Zinc Oxide As Glowing As Raved? Have you tried the Ren cleansing milk. I was intrigued by the brand when I saw it at Sephora SG. Was wondering whether you have any experience with it? I’ve tried the gel some time ago and quite like it. Haven’t tried the cream…wanted to try but it’s really pricey.